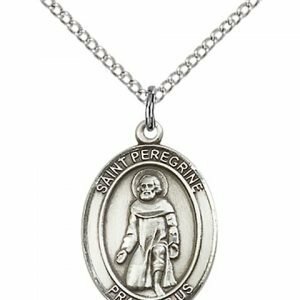 Saint Peregrine is the patron saint of those afflicted with cancer and images and medals of St. Peregrine typically show him revealing his bandaged leg. Peregrine Laziosi, born into wealth and privilege in Forli, Italy, was once a member of a group vehemently opposed to the Catholic Church. Peregrine struck St. Philip who had been sent to intervene in local papal uprisings. In return, Philip offered his other cheek. 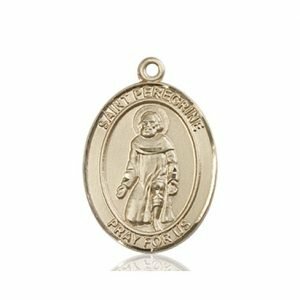 Philip’s humility and forgiveness moved Peregrine to repent and convert to Catholicism. 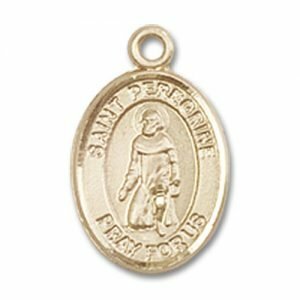 Saint Peregrine traveled to Siena, joined the Servite Order and eventually founded a monastery in his hometown of Forli. His excellent preaching and reputation as a confessor brought many back to the Church. He became afflicted with cancer of the leg and foot. 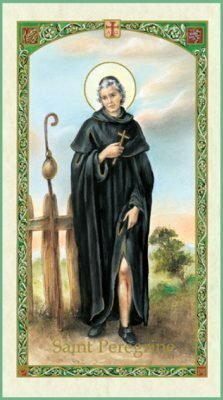 The night before the amputation of his cancerous leg, Saint Peregrine prayed many hours before the cross. The next morning, his leg was cured. St. 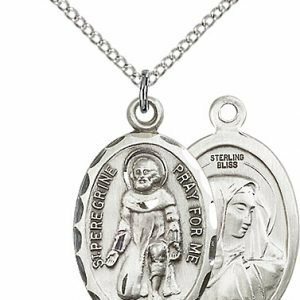 Peregrine is honored as the saint who watches over cancer patients. When St. 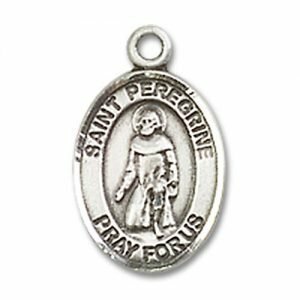 Peregrine himself was afflicted with cancer of the foot and amputation had been decided upon, he spent the night in prayer. The next morning he found that he had been completely cured of his cancer. St. Peregrine spent his youth actively rebelling against the Church. 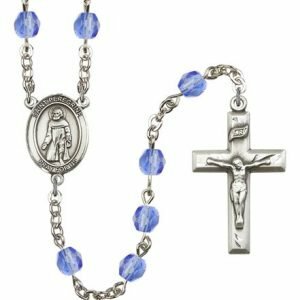 Once granted the grace of conversion, St. 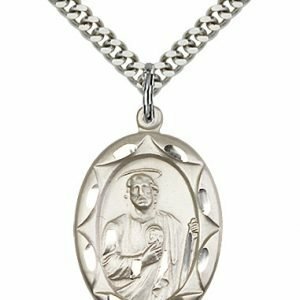 Peregrine grew to be a very holy and revered priest and confessor. St. Peregrine has been reached out to by cancer patients for 300 years. 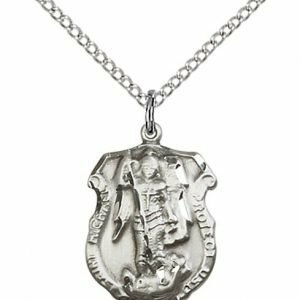 In addition to this patronage, St. 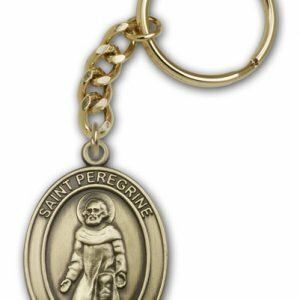 Peregrine is a great example of a Catholic saint who underwent a beautiful conversion which has given him the ability to lead others to the Faith. Many may look to him in difficult times as a man who stood by his belief in God’s goodness and in return was rewarded for his steadfastness and love. St. 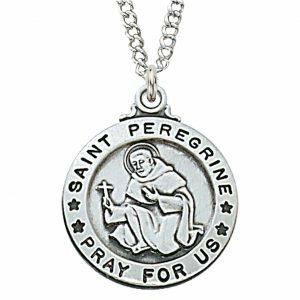 Peregrine is the Patron of those suffering from cancer but for those with specific cancers there may be an additional patron. 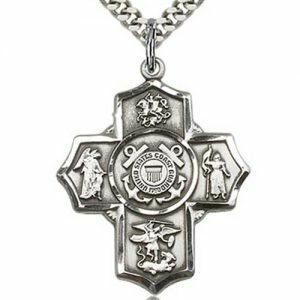 Most notably, St. Agatha is the Patron Saint of Breast Cancer. 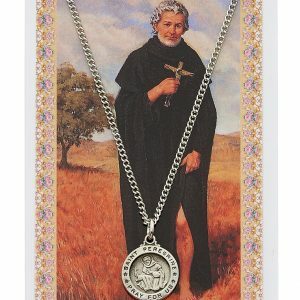 St. Peregrine’s feast day is May 1. Glorious wonder-worker, St. Peregrine, you answered the divine call with a ready spirit, and forsook all the comforts of a life of ease and all the empty honors of the world to dedicate yourself to God in the Order of His holy mother. You labored manfully for the salvation of souls. 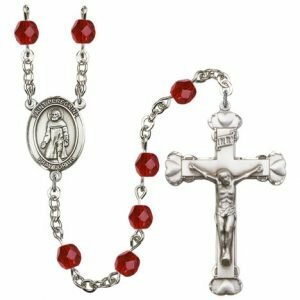 In union with Jesus crucified, you endured painful sufferings with such patience as to deserve to be healed miraculously of an incurable cancer in your leg by a touch of His divine hand. 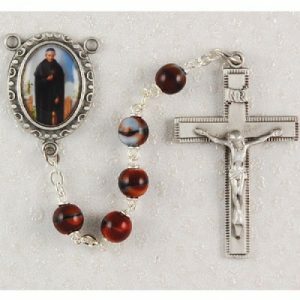 Obtain for me the grace to answer every call of God and to fulfill His will in all events of life. Enkindle in my heart a consuming zeal for the salvation of all men. Deliver me from the infirmities that afflict my body (especially…). Obtain for me also a perfect resignation to the sufferings it may please God to send me, so that, imitating our crucified Savior and His sorrowful Mother, I may merit eternal glory in heaven. St. 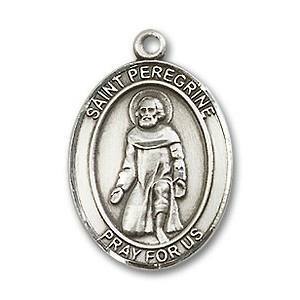 Peregrine, pray for me and for all who invoke your aid. O great St. Peregrine, you have been called “The Mighty,” “The Wonder-Worker,” because of the numerous miracles which you have obtained from God for those who have had recourse to you. For so many years you bore in your own flesh this cancerous disease that destroys the very fiber of our being, and who had recourse to the source of all grace when the power of man could do no more. You were favored with the vision of Jesus coming down from the Cross to heal your affliction. 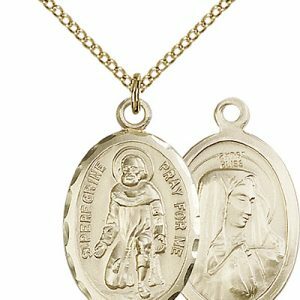 Ask of God and Our Lady, the cure of the sick whom we entrust to you. (Pause here and silently recall the names of the sick for whom you are praying) Aided in this way by your powerful intercession, we shall sing to God, now and for all eternity, a song of gratitude for His great goodness and mercy. Amen. St. 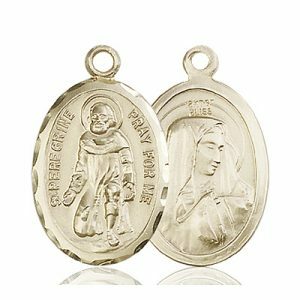 Peregrine Medals: A favorite of individuals facing the uncertainty of a cancer diagnosis, St Peregrine Medals provide solace and comfort as they serve as a reminder we are not alone and God is present even in times of trouble and pain.